Mendoza, two hours by plane from Buenos Aires, is the heart of Argentina's wine country, where European settlers introduced the ancientcraft of winemaking in the19th century. Mendoza is a city of parks and tree-lined streets, sidewalk cafes and many wine bars and restaurants. 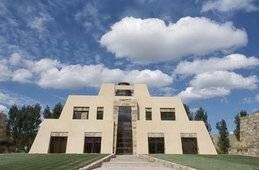 Nestled at the feet of the Andes, it is also a center for active tourism, offering world-class hiking, biking and river rafting, just a short driving distance from Mendoza. 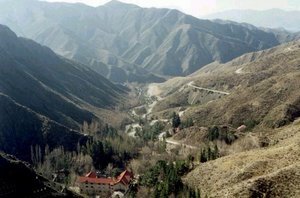 Mendoza has a semi-arid climate. The winters (June-Sept) are cold (mid-30s to low 60s F), and then a burst of spring (Oct-Nov) heralds the warm summer with cool nights and warm days, tempered by the proximity to the Andes. Mendoza averages less than ten inches of rain per year, and agriculture relies on irrigation. Rates include: Two nights accommodations in hotel of choice, round-trip airport transfers via private car/van with guide, and a half-day motorcoach Mendoza City Tour. Note: Rates quoted for optional tours are via motorcoach, require a minimum of two passengers, and operate from Mendoza hotels only. Winery tours are all quoted via private car/van with a private guide, and prices are available upon request. Dr. Nicolas Catena, a Columbia University-trained economist and associate of Robert Mondavi, is widely credited with bringing Argentine wines to the world. His vineyards produce some of South America's most highly decorated wines, including the Nicolas Catena Zapata and the well-priced Los Alamos, now hugely popular in the U.S. Catena Zapata has one of the most recognizable vineyards in all Mendoza, a replica of a Mayan Temple called La Pirámide. The Zuccardi vineyard offers one of the most impressive tours in Mendoza, which concludes with a mouth-watering asado in a glass-covered patio and open-aired veranda nestled deep inside the vineyard. Each course of the lunch features a different Zuccardi blend; don't make afternoon plans. 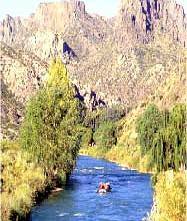 Chacras de Coria is a small, fashionable town 15 km south of Mendoza, tucked into the foothills of the Andes and in the heart of the wine country. Chacras is renowned for its particular microclimate, with its cool mountain air, green vineyards and ranches, and purple mountains. 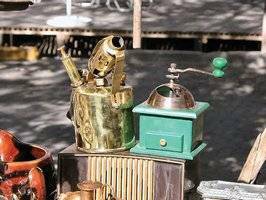 Every Sunday afternoon you can find crafts and antiques in the town square, also musicians and puppeteers every week, to entertain visitors. The village is full of gastronomic delights, with boutique restaurants and wine bars. 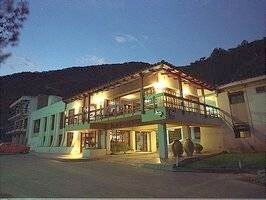 Lares de Chacras is a boutique hotel founded by the Day family, who started working on their dream in 2004. The Day family has lived for generations in Chacras de Coria, and the most important thing for the Day family is that guests feel at home. 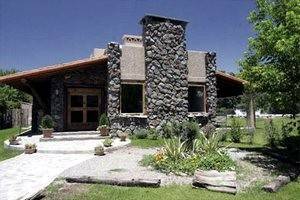 The country style house reflects the art of combining Andean stone with typical desert wood, bringing out a natural, simple and modern look. The minute any guest walks in, they see a hand-made window showing the view of a wine cellar covered in stone and logs beams - the perfect atmosphere for tasting the best wines from Mendoza. There are wide log beams in every room, showing good taste and warmth in the country décor. 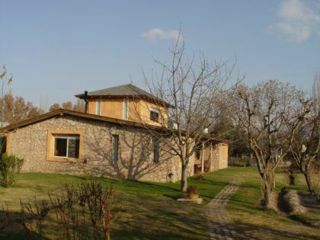 The natural environment is seen through all windows and doors, a typical view for Chacras de Coria, the galleries, park, swimming pool and hot tub. Finca Adalgisa was converted to a hotel in 2001 when Gabriela Furlotti and Cuqui, her mother, decided to save a vineyard and buildings and restore them in order to welcome guests to this special place. With a delightfully rural character in the quiet location of Chacras de Coria, this splendid 'finca' has two hectares of Malbeck grapes that were originally planted in 1916. Guests may observe the winemaking process and enjoy tasting the fruits of their labor. The heart of the 'finca' is the restaurant and wine cave, and the outstanding, friendly service is its soul. 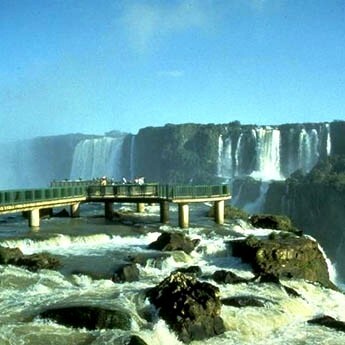 Rates include: Round-trip airport transfers and a half-day self-guided tour of the Argentine side of the falls including the Devil's Throat excursion. Rates are not valid for Easter Week or Christmas/New Year Week. National Park Fees and Airfares NOT INCLUDED.